Studio Wildcard today announced the release of the latest addition to the prehistoric roster of ARK: Survival Evolved as dinosaur fans welcome the debut of the shell-shocked Doedicurus. 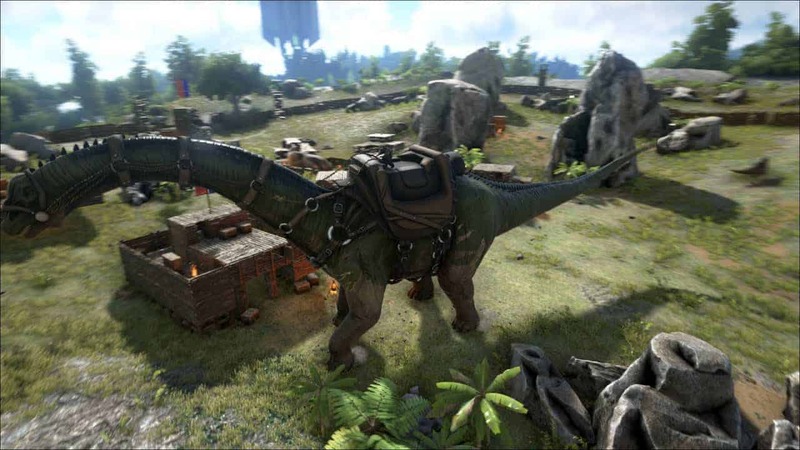 Those that already own a copy of ARK: Survival Evolved on Steam are already able to download the update and begin their search as the developers suggest seeking out the newest dinosaur on the mountainsides and grasslands. The Armadillo like dinosaur is a much-needed addition to your harvesting arsenal as it is now the best available method for harvesting large amounts of Stone. The new herbivore is also incredibly powerful as a defensive dinosaur as its hard shell can protect from most attacks. Whats more players are able to enter Shell Charge mode, initiating a rolling escape or attack that sees the Doedicurus charge through enemies effortlessly. Additionally the team also introduced a new Spray Painting item that will hasten the painting of structures and large objects, as well as a new Planet Species X that can act as a defensive turret – leaking stinging spores to inflict damage on nearby enemies and dinosaurs.